With so many dietary trends making news these days, it can be overwhelming to figure out what to follow for optimal health. Paleo or vegetarian? Gluten free or organic whole grain? Raw foods vs cooked? While there may not be a one-size-fits-all approach for every child or adult, here’s one concept on which most experts do agree- eat more fruits and vegetables. How do we know we need more? According to 2014 data from the Centers for Disease Control, 60% of U.S. kids ages 2-18 years are not getting enough fruit and 93% are not getting enough vegetables on a regular basis. Grown ups in this country are not doing any better, with over 82% not getting enough fruit and over 86% not eating enough daily vegetables. Given the increased rate of chronic illnesses in this country for adults, teens and kids, we need to step up our plant based intake now more than ever. Numerous studies have shown that people who eat adequate amounts of these foods on a regular basis have a decreased risk of many chronic health conditions including constipation, obesity, cancer, heart attacks and strokes. In addition, kids who eat enough fruits and veggies on a daily basis have been shown to have better academic performances in school. How much produce are we talking about? The specific recommendations for daily fruit and vegetable intake depends on age, gender, and level of physical activity. What role does produce play in maintaining health? In addition to being rich sources of fiber, vitamins and minerals, plant-based foods are loaded with phytonutrients. Phytonutrients are responsible for the color, not to mention the taste and smell of not only fruits and veggies, but also nuts, seeds, herbs, spices and teas. Beyond the vibrant ruby hue of a freshly cut pomegranate. or the enticing aroma of a simmering curry, scientific data on the health benefits of phytonutrients has exploded in recent years. Phytonutrients have been shown to act as potent anti-inflammatory agents, boost our immune systems, have anti-cancer properties, help rid our bodies of toxins, and improve our brain, heart and blood vessel health. Phytonutrients are also excellent team players. When different groups of them are eaten together, they act synergistically to produce even more profound effects on our health. This is why we might want to eat a rainbow of colors every day! – a salad with lettuce, tomatoes, carrots, sunflower seeds and olive oil brings your count to 5! – salsa- tomatoes, onion, chile, lime, cilantro, and black pepper puts the count at 6! Remember to buy organic when you are able, especially for those plants with high pesticide contamination when grown conventionally. 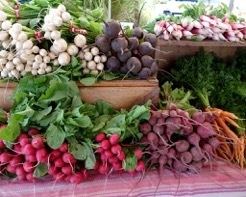 To learn more about how phytonutrients work, check out my article, “A Rainbow of Phytonutrients”, at janetvolpemd.com. 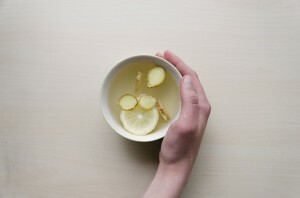 What, exactly, IS detoxification and why do we care? Detoxification is the process by which our bodies take chemical substances that are potentially harmful through the skin, air and digestive system and transform them (primarily in the liver) so that the body can safely get rid of them. This works well for most medications, alcohol, and some chemicals that we come into contact with. However, there are a large number of toxins (pesticides, heavy metals, plasticizers) that we actually cannot detoxify in the body and we simply store in our fat cells. Given that we have created more than 80,000 chemicals since World War II and only a fraction of these have been tested, there is room to be concerned about the health risks we face. No other generation has been exposed to the wide variety of chemicals that our children have and the effects are still unknown. Research continues to come to light on the potential endocrine disrupting or cancer-causing effects of some of these chemicals (note the recent debate in the California legislature regarding the common flame retardants—and their hormonal effects on people and animals). Avoiding toxins entirely is not possible. So what can a responsible citizen do besides be concerned? The most important thing to realize is that a healthy body–with love, good sleep, good food, exercise and minimal stress—can usually deal with a toxic load without untoward effects. So being healthy in general will protect you. Get rid of Teflon (polytetrafluoroethylene, non-stick) pans. Avoid plastic bottles made of polycarbonate (#7, which contains BPA). Do not eat or drink items heated in plastic. Prefer metal, ceramic, or glass containers, especially for hot and acidic foods. Substitute nontoxic alternatives for chemical pesticides for home and garden. Select “green cleaners” rather than toxic cleaning agents. Use www.cosmeticsdatabase.com, www.safecosmetics.org to get more information on safe products. Choose “green” paints, finishes, structural materials and insulation for any remodeling projects. Choose fish that are not carrying high levels of mercury and are not endangered (www.seafoodwatch.org). If the whole fish fits on your plate, mercury is likely not a problem. Eat organic meat, milk, and egg products. This is even more important than eating organic produce, as the animals concentrate the fat-soluble toxins of all the grains that they eat into their flesh and only release them into their milk or eggs, making milk, meat and eggs potentially the highest source of pesticides in the diet. It is also important to avoid bovine growth hormone (banned in Europe), which is given to cows to increase milk production. Its effects on humans is unclear, but concerning. Eat primarily organic produce (www.foodnews.org). This list helps you choose the foods that are MOST important to buy organic since they have the highest content of pesticides. Remember to talk to your farmer’s market vendors, as many local farmers may not be certified organic, but still may not use spray pesticides on their produce. And, as I always like to say to my patients, take baby steps! Adding one item at a time is a fine way to start. And don’t obsess! It’s bad for you health! Our front desk is closed Wednesdays and Weekends. Some practitioners continue to see clients as arranged by appointment only. © 2016 Santa Cruz Integrative Medicine. All Rights Reserved. Design by GoodSite.